Info Fiona’s Tuesday evening printmaking class is a good opportunity for rediscovering printmaking skills and trying out new revolutionary non-toxic materials and techniques. 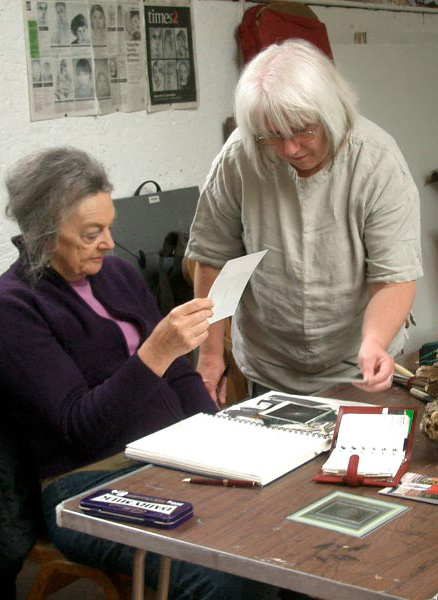 Facilities are available for monoprinting, linocut, drypoint and etching. The course is flexible for you to be free to explore your own projects in print. It is suitable for beginners as an introduction to printmaking techniques . Good fun and messy – bring an apron! £110 per term plus annual LADVAA membership fee.